Wooden Table Top Attachment for Steel Sawbuck 1500. 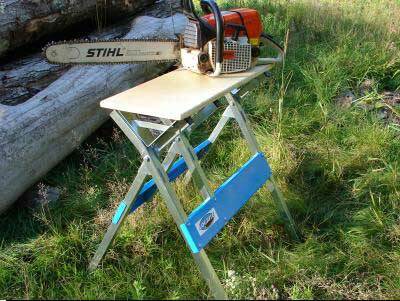 Turns your sawbuck into a work table for working on your chainsaw. Sawbuck in photo not included.